Single Leg Training is an exercise pattern that is often overlooked in many training programs. Any lower body exercise that allows you to train each side of your body individually provides many unique benefits. Most importantly, they are great for unilateral strength development, and they allow you to identify any imbalances that may exist between your legs. Furthermore, single leg training lends itself to many real-world applications as we are often relying on one side of our body in our day to day activities. The Bulgarian Split Squat (BSS) is an awesome exercise that allows you to train the squat pattern while incorporating strength and stability in the upper body and core. 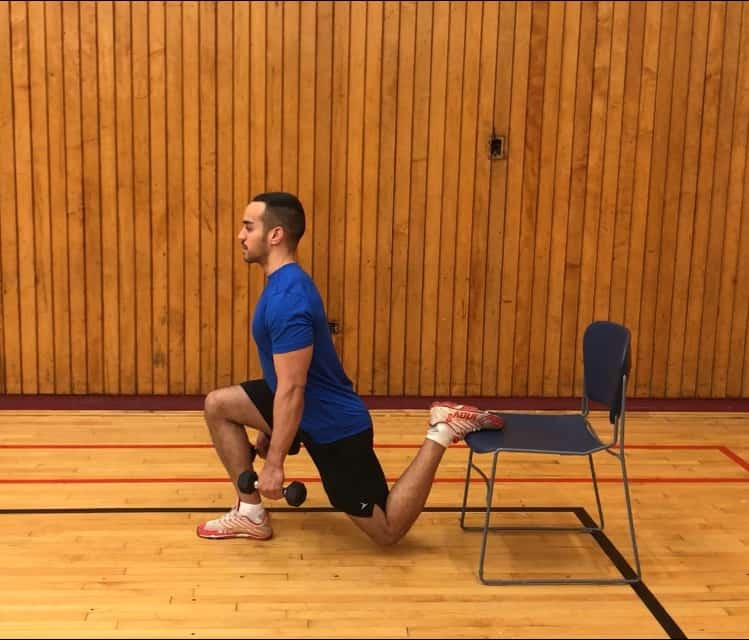 HOW CAN I INTEGRATE THE BULGARIAN SPLIT SQUAT INTO MY TRAINING? Check out The WCT Best Workout Template For Busy Professionals to find a simple way to add the bulgarian split squat and other great exercises into your routine.